What is Arsenic doing in baby cereal? A new report Arsenic in 9 Brands of Infant Cereal out today highlights the high levels of arsenic in infant rice cereal. Many parents choose rice cereal as one of baby’s first solid foods, unknowingly exposing vulnerable babies to a toxic chemical that affects brain development and is linked to cancer. Healthy Babies Bright Futures tested 105 infant cereals for levels of arsenic, covering a wide range of brands and a variety of grains such as rice, brown rice, oats, quinoa, barley, corn, wheat, as well as mixed grain. Brands tested included six Gerber, Earth’s Best and HappyBABY products that I purchased at a Minnesota Target store. The testing found that rice cereals had on average six times more arsenic that multi-grain or other single grain cereals. Even though cereal companies have reduced the levels of arsenic in their cereal over the last four years, from 103 parts per billion (PPB) to 85 PPB, these levels are not health protective. You might be wondering why there’s arsenic in rice cereal. Rice uptakes ten times more arsenic from the soil compared with other grains. Arsenic is naturally occurring, but soil where arsenic-containing pesticides had previously been used have much higher levels. Arsenic not only causes cancer, but it poses a risk to developing brains, including reduction in IQ. The report notes that “arsenic in infant rice cereal and other rice-based foods accounts for an estimated loss of up to 9.2 million IQ points among U.S. children ages 0-6.” Reduced IQ has lifelong impacts on individuals and society at large and an analysis by Abt Associates estimates impacts for the country at $12-18 billion a year in lost wages. While rice cereal is the top dietary source of arsenic for babies under age one, babies who live in areas with high levels of arsenic in drinking water may be getting a double dose of arsenic that could put their health and development at risk. The Minnesota Department of Health (MDH) estimates that 10 percent of all wells in Minnesota have natural arsenic levels at or above 10 micrograms per liter, which is the federal drinking water standard for arsenic, and “some groundwater in Minnesota has natural arsenic levels as high as 150 micrograms per liter.” MDH advises families with private wells to have their water tested for arsenic and if levels exceed 10 micrograms per liter, to install a water filtration system. While it’s important to be aware of all potential sources of arsenic exposure, reducing babies’ exposure to this toxic element in cereal is something that we must tackle on multiple levels. Arsenic in rice may be a new problem to many parents and consumers, but it’s one that is solvable. Federal action. There is no federal standard for arsenic in infant cereal, so the FDA should take immediate steps to set an enforceable, health-based standard that considers IQ loss as well as other potential health impacts. Retailer action. Retailers that sell baby cereals can educate consumers about the concerns with arsenic in rice cereal and the availability of safer foods and make low-arsenic products more visible on store shelves than rice-only cereals. Cereal manufacturer action. Cereal companies should take additional steps to reduce arsenic in their cereal products, including sourcing rice from fields with lower levels of arsenic in soil, growing strains that uptake less arsenic, blending into multi-grain products and more. Urge Gerber to take action. ·Parent action. You can significantly reduce your baby’s exposure to arsenic in cereal by avoiding single grain rice cereal, instead choosing other grains or multi-grain products. If your family eats rice, you can cook it in extra water and pour it off before eating or choose low arsenic basmati rice grown in California, India or Pakistan. See 8 Simple Ways to Protect Your Family from Arsenic Contamination in Rice and Other Foods. 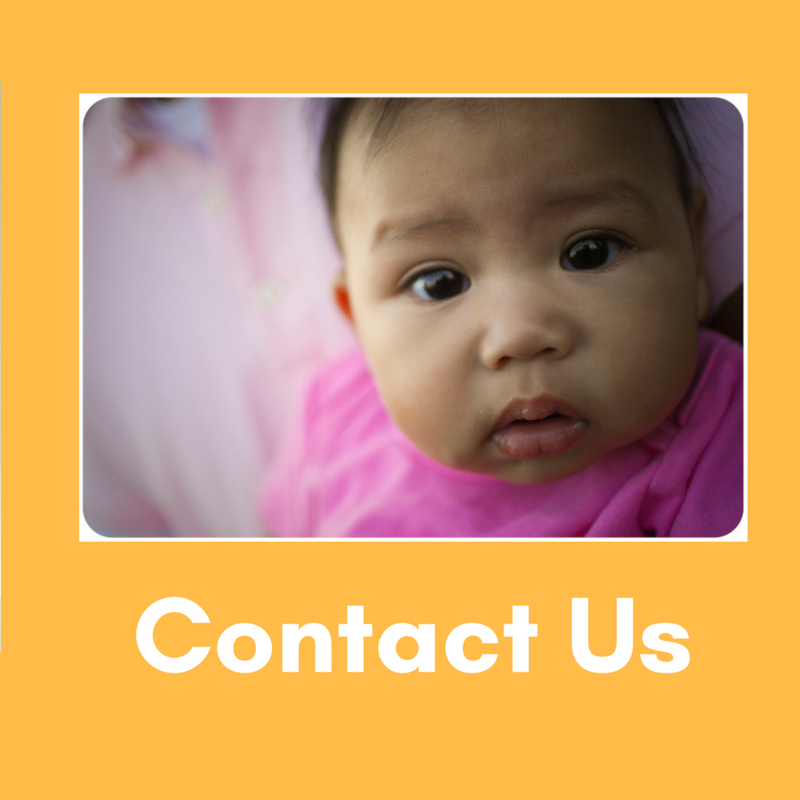 Our actions today can make arsenic in infant cereal a problem of the past! April 4 was National Healthy Schools Day, sponsored by the Healthy Schools Network (HSN) and forty partner groups across the country. Unfortunately, many of our schools are not so healthy. According to Claire Barnett HSN Executive Director, the American Society of Civil Engineers recently gave school infrastructure in the U.S. a grade D+. She notes that 55 million school age children “spend time in school buildings that are likely to fail building inspections and to be out of compliance with federal and state health and safety regulations.” Failing buildings can damage children’s health and ability to learn. Environmental hazards facing America’s schools include mold, lead, asbestos, PCBs, radon, carbon monoxide, formaldehyde, unsafe drinking fountains and exposure to toxic pesticides and cleaning/disinfecting products. EPA reports that half of all schools have problems with indoor air pollution. At the same time, public schools are serving more kids with asthma and learning and behavior problems, many of whom live in poverty. Healthy Legacy joined a coalition of groups across the country to call on the federal government to include school infrastructure needs in its broad infrastructure proposals. Investments in upgrading school infrastructure and environmental health programs will pay off in healthier children who learn better. We need to build on programs such as U.S. EPA’s Tools for Schools indoor air quality program that provides voluntary guidance and limited grants to address air quality, which has resulted in improvements in many schools. For example, after implementing indoor air quality programs, Northeast and Katy school districts in Texas saw decreased absenteeism due to asthma. There is increasing concern from parents across the country, including in Minnesota communities from Minneapolis to Duluth to Edina, that hazardous chemicals in crumb rubber could harm children’s health. Chemicals detected in crumb rubber include carcinogens, neurotoxins, respiratory/eye/skin irritants and reproductive and developmental toxins. Chemicals detected include brain toxins the styrene, lead, cadmium as well as carcinogens, arsenic, pyrene, carbon black, polycyclic hydrocarbons (PAHs), and butadiene. In the meantime, Minnesota communities are not waiting for more children to be harmed before acting. The Duluth School system is in the process of removing waste tire mulch from ten school playgrounds and replacing it with a safer wood-based material. The Minneapolis School district is putting on hold the installation of new playgrounds with tire mulch and is making plans to address the existing 47 playgrounds that use tire mulch. At the state level, Healthy Legacy is advocating for a state moratorium on public funds going into new playgrounds and sports fields using crumb rubber until the Minnesota Department of Health can evaluate the results of the FRAP and another study coming out of California in 2019. Bottom line, we need to prioritize federal, state and local infrastructure spending to create healthy school environments. The average Minnesota child spends 6.28 hours in school every day during the school year. Investment in fixing unhealthy school buildings and replacing toxic crumb rubber on playgrounds and sports fields will reap benefits in improved health and learning for Minnesota kids. [i] U.S. Environmental Protection Agency (EPA). Fact Sheet-The Use of Recycled Tire Materials on Playgrounds & Artificial Turf Fields. Chemicals in Kids' Halloween Makeup & Other Products-Pretty Scary! A new report by the Breast Cancer Fund’s Campaign for Safe Cosmetics found lead and cadmium in children’s face paint, as well as volatile organic compounds (VOCs) and other problem chemicals in kids’ shampoos, lip balms, makeup and nail products. Hormone disrupting parabens and preservatives that release carcinogenic formaldehyde were found on labels. Laboratory testing detected the brain toxin lead and the hormone disrupter cadmium in Halloween face paints. Additional lab testing of a variety of kids’ cosmetics, including products purchased here in Minnesota, revealed the presence of the developmental toxicant toluene and possible carcinogens ethylbenzene and vinyl acetate in fragranced products. The FDA wouldn't allow these chemicals into products if they weren’t safe - right? Wrong. Cosmetics are among the least regulated products. The 75-year-old federal cosmetics law does not require pre-market safety testing or review of chemicals in products by the FDA. Ingredients in cosmetic products sold on the internet do not have to be labeled and secret ingredients in fragrance are not required to be labeled on any cosmetic products. The FDA has no authority to require recalls of products found to harm consumers and cannot require manufacturers to register ingredients or report cosmetic-related injuries. Lack of proper federal oversight of potentially harmful ingredients is a big concern. Cosmetic products are increasingly marketed to children with Disney and other kid-focused character branding. Children are uniquely vulnerable to adverse effects from chemical exposures because they are still growing and developing. Exposure to chemicals that disrupt hormones, impair brain development or increase cancer risk during key developmental windows from infancy through adolescence, can put kids at risk for adverse health effects later in life. The report summarizes results from reading the labels of 187 children’s cosmetic products, finding chemicals of concern, fragrance and propylparaben in almost half of the products examined. Testing of 48 Halloween face paint products revealed trace amounts of heavy metals in 21 products, with some products containing as many as four metals. The report also describes results from testing of 48 products from 14 states for VOCs. Twenty percent of these products contained at least one VOC, four of which are linked to adverse health effects, toluene, styrene, ethylbenzene and vinyl acetate. I purchased five products at a Minnesota Toys R Us for VOC testing. With names like “Hello Kitty Bath Tote,” “Fashion Angels Rainbow Unicorn Beauty Set” and “Minions Nail Kit,” there’s no doubt these products are marketed to kids. Of the products purchased in Minnesota, the “Minions Nail Set” tested positive for the VOC acetone, commonly used as a solvent in nail polish, which can be toxic to children at levels higher than found in this product. The label-reading part of the project identified three different formaldehyde-releasing chemicals in six different kids’ cosmetic products. This finding is of note, because Minnesota law prohibits formaldehyde-releasing chemicals in products designed for children under age 8 at greater than 500 parts-per-million. Because the concentration of chemicals in these six products is unknown, we cannot determine if they comply with Minnesota law. Formaldehyde is a carcinogen, so we are especially concerned about children’s exposure. Cosmetics regulation needs to be reformed to protect public health, including: a ban on ingredients linked to cancer, birth defects, developmental harm and other health concerns; required pre-market safety testing of cosmetic ingredients by manufacturers; required full ingredient disclosure including fragrance ingredients; and preservation of existing state laws such as Minnesota’s bans on formaldehyde-releasers and triclosan. Retailers can take action by prohibiting ingredients linked to harmful health effects in product lines and expanding safer cosmetic product lines. Finally, the report notes that manufacturers can meet consumer demand for safe cosmetics by avoiding the use of harmful chemicals in favor of safer alternatives, disclosing all product ingredients, adopting a restricted substances list that governs current and future use of chemicals and monitoring research on chemicals of emerging concern. 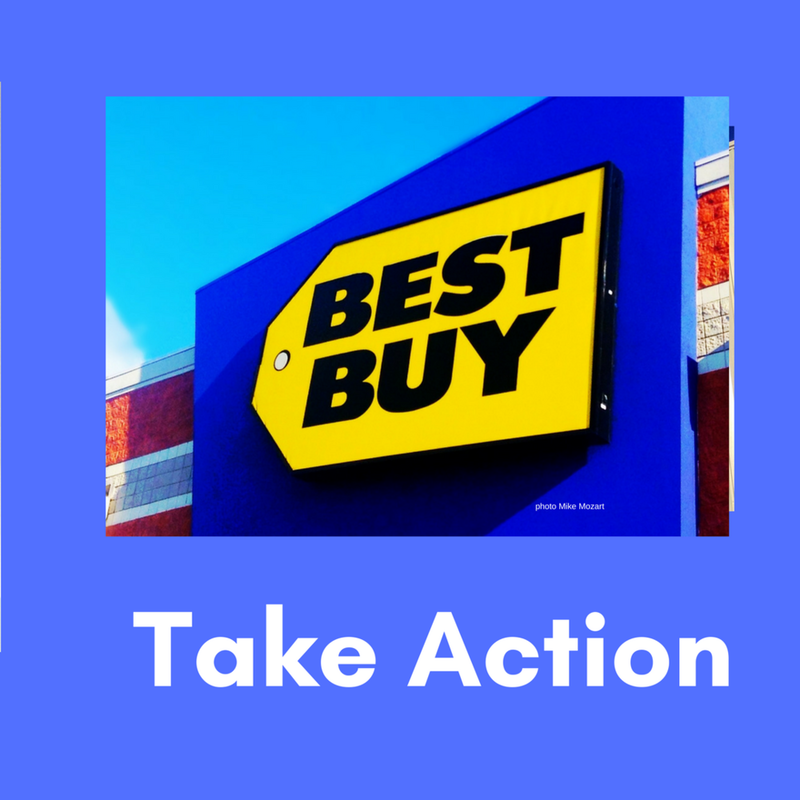 Take Action: Tell Congress to pass strong cosmetic regulation. • Avoid face paint - find a Halloween costume that doesn’t require it. • Avoid darkly pigmented makeups. • Find a do-it-yourself face paint recipe. • Buy safer products – read labels and avoid products with added fragrance, parabens, styrene or formaldehyde-releasing preservatives like DMDM hydantoin, imidiazoldinal urea or diazolydinal urea. • Delay the use of kids’ cosmetic products - wait until kids are older. 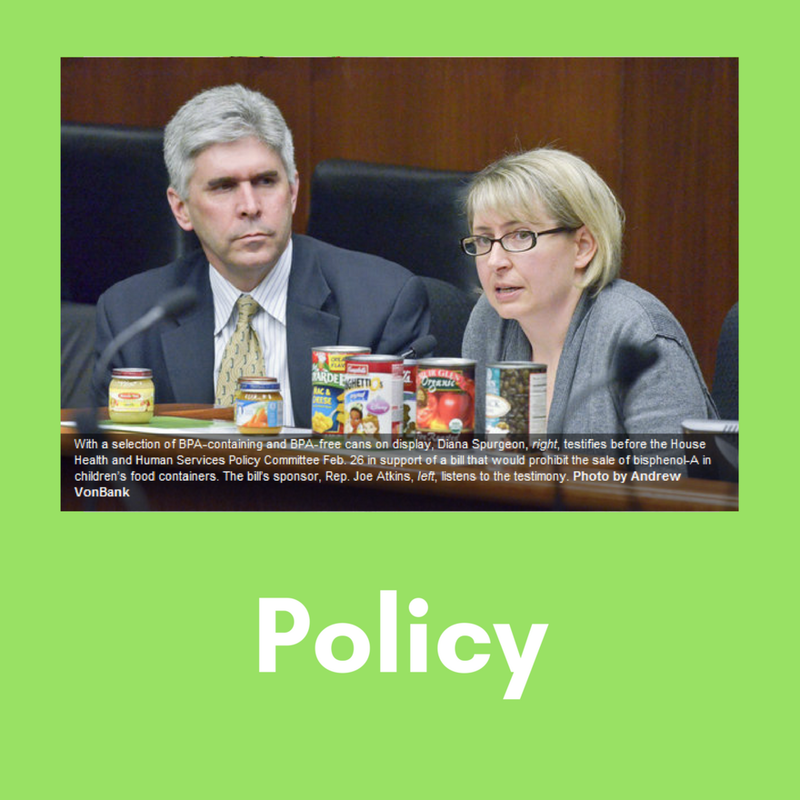 Congress Finally Updates TSCA-What's in Store for Minnesota? Widespread human exposure to toxic chemicals in everyday consumer products contributes to increased rates of cancer, learning and developmental disorders, reproductive problems, asthma and birth defects. Better regulation of chemicals could help reduce the incidence of these chronic health conditions and disorders. That’s why Healthy Legacy as a 35-member public health coalition has been busy passing seven bills in the past nine years to protect public health from toxic chemical exposures in products. At the same time, we’ve been pushing for reform of the federal law that regulates industrial chemicals in the U.S., called the Toxic Substances Control Act or TSCA. If you’re familiar with TSCA, you know that TSCA was passed in 1976 and has not been updated since. In the past forty years it has allowed EPA to regulate only five chemicals of the more than 84,000 in commerce today. So we know that TSCA has failed in its job to protect our health. That’s why the states have stepped up to fill in the gaps in federal regulation. Thirty-four states have enacted 167 chemical protection laws in the past ten years. Despite these important actions by state legislatures, a significant number of toxic chemicals remain on the market, including hormone disrupting chemicals such as phthalates in personal care and household products, BPA in can linings and receipt paper and toxic flame retardants in furniture and children’s products, among others. Both public health organizations and the industry have been pushing for TSCA reform, but for different reasons. While Healthy Legacy advocates for TSCA reform to create stronger public health protections, industries seek reform to address the patchwork of state regulations across the country. This brings us to the Frank R. Lautenberg Chemical Safety for the 21st Century Act, a bill to finally update TSCA. This bill recently passed in both the U.S. House and in the Senate on June 7. The bill has some strengths and also some significant weaknesses. The original version of the bill introduced in the Senate three years ago would have been worse than current TSCA and would have preempted most state actions on chemicals. Due to the work of key legislators and advocates across the nation, the final bill is significantly improved, but still falls short of what most public health and environmental organizations can endorse. See the statement of our national coalition, Safer Chemicals, Healthy Families. The bill will empower the EPA to tackle the worst chemicals and requires the EPA to address toxic chemical exposures in vulnerable populations, such as workers and children. However, the rate and pace of chemical safety assessments will leave toxic chemicals on the marketplace for decades. With a backlog of over 80,000 untested chemicals, the EPA will only be required to assess 20 chemicals at a time. The bill also places new limitations on EPA’s authority to require notification of chemicals used in imported products, including toys, clothing and other home products, allowing toxic chemicals to sneak into the marketplace and into our homes. The biggest problem with the bill is that it places new restrictions on states seeking to enact public health protections on toxic chemicals. This was the big win for industry in the bill, creating an initial preemption of state action on chemicals that EPA lists for assessment. However, due to some last minute negotiations by Representatives Pallone and Tonko, this initial state preemption was tempered. Where does this leave Minnesota and other states? While states will no longer enjoy the significant leeway that the current law affords, states still retain some important authorities to protect their citizens from toxic chemical exposures. States can still enact laws relating to the first ten chemicals that EPA assesses, as well as chemicals subject to industry-requested risk evaluations. States can also act on chemicals not designated as high priority by EPA and uses of priority chemicals outside of the scope of an EPA risk evaluation. The bill allows states to enact chemical reporting and monitoring requirements and state water, air and waste protections. In addition, actions related to laws passed before April 22, 2016 are grandfathered in and cannot be preempted. Finally, states can take action on chemicals and products not regulated under TSCA, such as cosmetics, food packaging and food additives, which are under the purview of the FDA. Congress has spoken and states will have to live with the new TSCA. With EPA only assessing 20 chemicals at a time, it’s clear that the Minnesota legislature will continue to have an important role in protecting Minnesota families from unnecessary toxic chemical exposures for years to come.